not realize this. You should continue your writing. I’m sure, you’ve a huge readers’ base already! Sounds like we need to meet. Thanks! Glad you liked it. I’ve got some even better material now but it’s not public yet… stay tuned! A little late here…but did you make the aforementioned material public? And if so, where can I find it.. Thanks! Medicinal marijuana use dates back to the earliest eras of medicine and pharmacology, when humans first began to deliberately use plants for their effects on the body rather than simply as a source of nutrition. This is the absolute best (most accurate and extensive) explanation of the full and varied effects of marijuana on the human body and mind I’ve come across. …I myself have called cannabis oil for the biological machine. Arguably the best piece of literature I have ever read on Marijuana and Cannabis. Keep them coming, and if this doesn’t automatically add my email address to your blog releases, than please add it. Reblogged this on Tenth Power NetworX~ A Network for Locals!. ¡Muchísimas gracias! La información en este ensayo ayuda a todos a ver todo del argumento de cannabis, sus beneficios y sus riesgos. Ojalá que todos dar en cuenta la evidencia de las drogas. Los seres humanos han cambiado su estado presente de mente desde siempre.. Es una necesidad de cada persona. Very complete article ! Many thanks for sharing it with us ! please research on the facts of marijuana use. I am a collage student taking a phycology class and where cannabis actually increases your brain function and its overall growth tobacco shrinks your brain and causes it to loose function. all smoking can cause cancer UNLESS you ingest cannabis products for the effects. There is absolutely no way you can overdose unless you’ve bought some that had been tampered with and laced with something else, this is why we need it sold in stores instead of on the street to keep innocent people safe. And I’m sorry I laughed at the HIV and leprosy part… you guys are just finding some excuse to hate weed. There are no dirty needles with heroin and if you smoke by yourself you wont have contract with anyone else making it so you cant be able to contract even a simple cold PIRIOD. 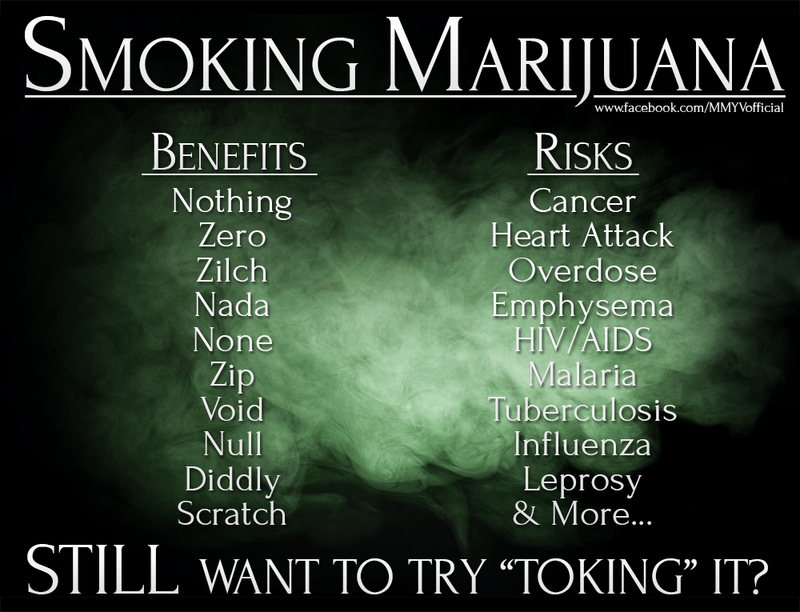 get your facts strait before you attempt to defile sometime harmless which is less hazardous then tobacco and alcohol. also malaria is a disease you contract from MOSQUITOS most common in AFRICA. influenza is a flu that went around for a short time. and TB? if you’ve ever reaserched TB youll be well aware this is not how you get it. its a genetic disease not something you get from smoking pot. I would be typing all day and night about the benefits if I had the time to get through to people who refuse to see the facts and join the bandwagon because of lies. I am sorry I just read some of the blog… I saw the picture of the pros and cons and I just kind went off on the subject. lol, you’re not the first one. I thought it was obvious enough that it was parody for people to be able to tell, but apparently not. Got the parody there Michael- seems obvious how addicted we are to the visual. I wonder how many got past that photo and actually read? I must say- this is possibly the best article I have read on the effects of cannabis on our body- and I’ve read a few. (o; Science made comprehensible but a distance from popular lore and hearsay. Glad to have made your acquaintance. Michael- I am just setting up my wn blog- as you can see, it is not up and running yet. I would be honored if the first article I were to share there would be yours. Permission granted? Problem is- I am a newbie and have no idea as to how to share something from one wordpress blog to another…is there a shortcut? thank you bro weed is good!!!! Thanks for the timely reply! Are you still accepting donations? I’d be very happy to offer services/food, as I’ve found this comprehensive piece extremely helpful. I would also be interested in speaking with you and am located in TO. If any of these sound good to you, pls let me know how I can contribute and if you are open (and feeling well enough) to meet for discussion. Michael- how is that third/fourth draft coming? Would love to have a copy…. All I can say is wow. I knew some of this from my own experience. I have had to abstain for a period as to prove that I’m not a bad mom because I’ve used. I find all of your observations and general research to be spot on. In my own story, I’ve been subject to abuse from early childhood through the end of my first marriage. Physical, sexual, mental as a child with my step dad being the abuser, up to mental and emotional within my first marriage. I became a user towards the last year or two of my first marriage, with my now ex husband asking as to why I could deal with him better when I was high. 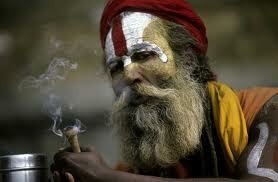 He smoked with me at times, but mostly I kept it to myself. He could only tell when I had smoked because I seemed more relaxed around him and the children. He leaves and tells the kids he might be back if I don’t get a boyfriend. The control in that relationship was more than I could bear. I get remarried about 10 months after my divorce is final. I got pregnant just after or before my divorce was finalized. She was born 2 months before I got remarried. I used cannabis through my whole pregnancy, despite the propaganda I believed. My new husband had been using cannabis for pain in his shoulder, in which he was born without his small and large pectoral muscles on his right side. The nausea medicine I was prescribed didn’t help me eat while pregnant. I was HUNGRY. I used enough to make me hungry at any given point throughout my pregnancy. I was scared shitless to think she might be taken from me because of my use. My water broke, on the way to the hospital my husband and I smoked. I didn’t feel any contractions until the doctor finally gave me pitosin to hurry things along since my water had already broke. In the pushing part, I was requested to stop, as the cord was wrapped around her neck. I stopped as well as I could. They fixed it and she was born. She’s now 3 years old. She’s the smartest little 3 year old I’ve ever been around. Uses her father logic against me most days. Learns everything at an incredible rate. She’s short, but that runs in both of our families. She learns so well, that after she started talking, I started teaching her Spanish, sign language via Signing Time on Netflix, some Chinese and German. She identifies those of the Spanish speaking culture and practices when she can. She can be reasoned with on any level. She’s empathetic in all regards. Simply, she’s amazing! In my life, I’ve experienced a lot of sickness, from Scarlet Fever to busted ear drums to bronchitis and pneumonia. In the past four years of having access to cannabis, I’ve experienced my best health ever. Since being ordered to stop using by a court because of my ex husband, I’ve been sick again. It prompted my extensive research into cannabis and our endocannabanoid system. I’m not a scientist by any means, but when one has an interest in being healthy, one does what one has to do. I’ve advocated for the legalization of Cannabis with emails to various Senators and Legislators. I tell my story. I follow up with my research. I’ve only begun to search in the Holy Bible for answers. I close the Bible, ask a question to God, close my eyes, open the Bible, point to a place on that page, and read. The very first one I read was of King Solomon and the harlot. She fragranced her bed with Myrrh, cinnamon, and aloe. That prompted me to Google Myrrh, because it was also gifted to Jesus Christ at birth. I cross reference everything. Myrrh has the same properties as Cannabis. Myrrh was used in the Holy anointing oil used by Jesus to heal humans. I don’t just believe in God and Jesus Christ, but in Science and God. And there are tons of correlations in the two. I hope this helps in your writing and research. Again, it’s just my story, one in a billion. I hope this also prompts others to look into their history and at their own lives for answers. I could not agree more. It has helped me in so many ways… unfortunately it is illegal in PA. Thank you so much for your wonderfully reserached and clear series of articles on cannabis benefits. I have reblogged them all. My young brother has just been diagnosed with Motor Neurone Disease and I am researching treatment options for him. Just so shocking that he isn’t given the option of cannabis as treatment. He’s under the care of King’s College neurology which makes me nervous in the light of your article on their Psychosis department. Keep up the good work, MND sufferers desperately need advocates for cannabis medicine. I don’t know a lot about tremors, sorry. 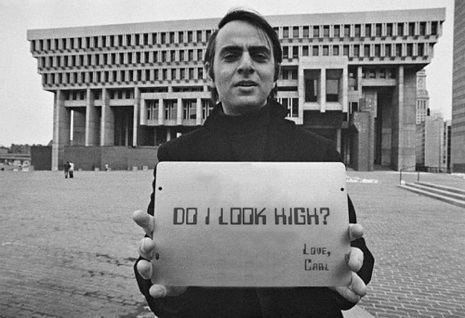 Different people react differently to different drugs, including cannabis. There are definitely many people for whom cannabis quiets their tremors, and there are also a few people for whom cannabis seems to cause tremors. Your mileage may vary. More research needed. Hey there, would you be able to shed some light on how Marijuana ‘Dampens’ Your Brain’s Response To Rewards? Well on a basic level, cannabinoids reduce the excitability of many different cell types, so they dampen all kinds of things. Some studies have found slightly lower levels of dopamine in the brains of regular smokers, so that could have to do with that dampening, though the effect isn’t very large. Most studies looking at motivation and response to reward have only found them to be significantly reduced in cannabis users who already suffered from depression, so a lot of it is confounded… depressed people are constantly stressing themselves out, so that it relieves stress both protects their brains and also reduces their need to do much. Stress in general could be a way to think about it, that being stressed out can motivate us, so that it provides stress relief can plausibly dampen motivation right there. As an oversimplification, cannabis has the effect on neural networks of pushing them in the direction of more, weaker connections, instead of fewer, stronger connections. Inflammation does the opposite, sensitising synapses and burning out neurons if they’re overstimulated so the network structure is weakened but individual connections are comparatively strong. Dampening this, again, can protect the brain against damage, but could plausibly dampen a whole lot of things. But before you read too much into that or think it’s a giant public health problem, or a social/moral problem, look at the effect sizes. It’s not as big a deal as some make it sound. This guy is stupid the governments them selfs are saying that cannabis prevents cancer and he’s putting stupid pictures saying there’s no benefits si if you get cancer do use weed when your ‘prescription’ drugs don’t work drugs that you can over dose on unlike weed it’s funny how people can publish si much about weed when the know nothing about it. Money will run behind you, I am still reading your article. Started half hour ago, now its close to 2am. Brilliant research.I am self educated in Sanskrit and ancient literature and found a drink which is the holy grail or antiageing and immune booster. My mother was suffering from Dengu, there is no research proven allopathic medicine to say with medical research evidence that xyz allopathic medicine can cure Dengu. What I gave her is a immune booster and have everything in a measured quantity including Cannabis oil. She got well and.better than before in just 3 days. Believe me. CANNABIS IS A CURE AND BUNCH OF ALCOHOLICS AND CIGARETTE SMOKERS WILL NEVER UNDERSTND WITH THEIR IQ. All this website is saying about Marijuana is not correct. This website belongs to drug dealers that take the Marijuana user’s money and fill their pockets . Don’t fall for it. Marijuana is dangeres and makes people numb and stupid. It is not easy to get out of it. But please try hard and stay away from this stuff. Untrue. I do not take money from the sale of marijuana. In fact I’ve fastidiously avoided any conflict of interest. I would like to see the latest draft if you are able to send it please. sector|An in depth look at cannabis as an industry|From the producers of Political Traction comes Legalized. as no one else recognize such distinctive about my problem. Looking forward to reading this, but pretty frustrating you call it marijuana!! Come on now… It’s Cannabis. Cannabis is a less specific term which refers, in Latin, to the whole plant, and is synonymous with the Germanic word hemp, which is itself derived from the word cannabis. 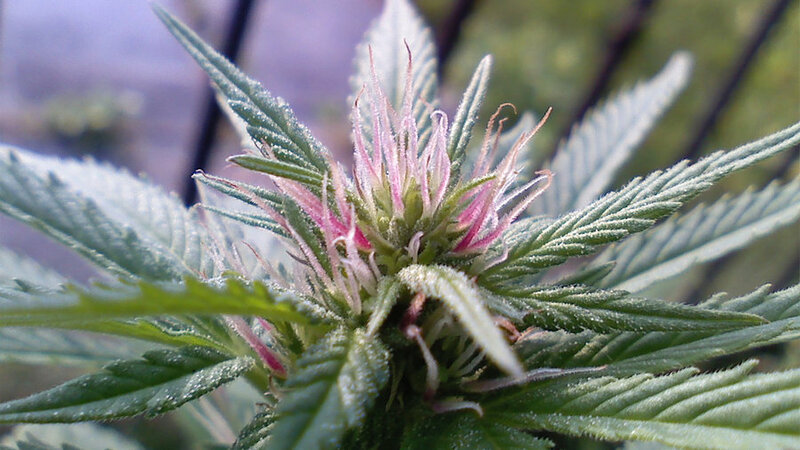 Marijuana on the other hand refers specifically to the cured female flowers, and probably derives from the Chinese “ma ren hua,” literally “hemp seed flower,” via Mexican Spanish. “Hemp” or “cannabis” can refer to whole plants, or fabrics, or any number of other things. 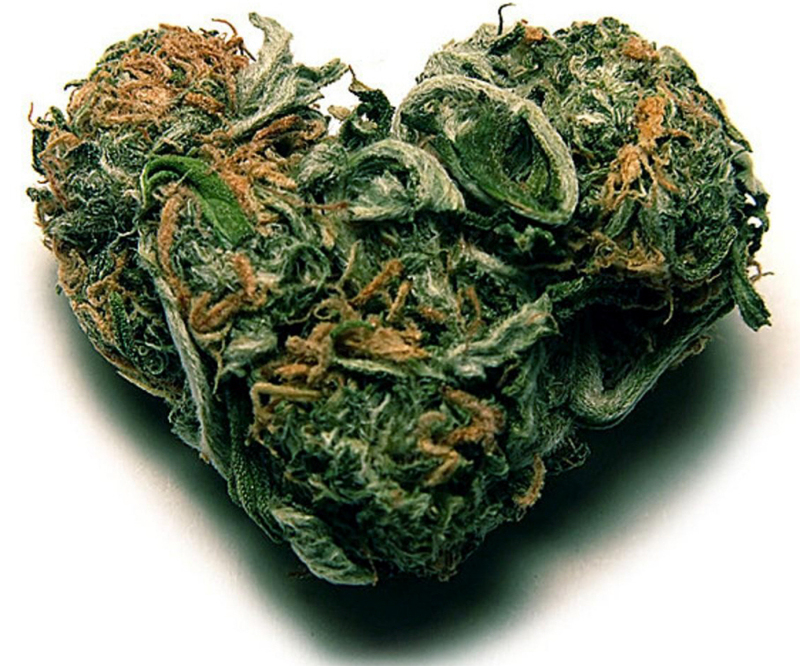 “Marijuana” always refers to the product we like to smoke, and never to anything else. It’s a perfectly good word. Americans have a taboo against it only because of anti-Mexican racism; up here in Canada, where it’s not in our geopolitical interests to hate Mexicans, we embrace the word. Thank you very much Michael for such a comprehensive review. Over 50 years ago in Mexico city a friend and I first encountered marijuana, and now finally someone can tell me the truth about it. 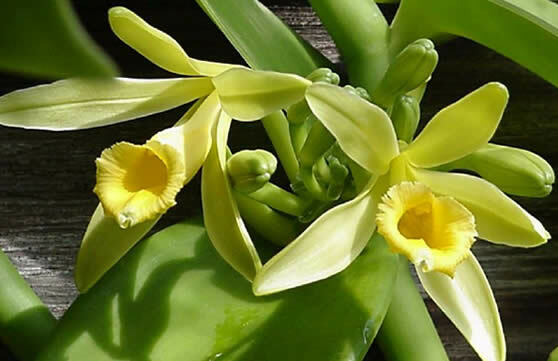 Truly it is one of the most interesting plants in existence….. and a government has banned it? A plant that so obviously is medicine and they can’t admit it? How tragic our leaders can’t relate to reality and act in the interest of its citizens. Your an Idiot, Theres so many false statements here. I cant believe I read this whole this but ay its 2017 now. Read The new studies . This article is indeed somewhat out of date. Which statements in particular do you feel require updating, due to which recent studies? Hey. I liked your post. You should check out a post I made on Marijuana as well :). Mine is about the perceptual and crazy effects that are possible. It also finds a possible physiological explanation for perceptual changes that might reveal something fundamental about the mechanics our perception. The medical use of cannabis improves performance of tasks testing cognition. This is the result of research by scientists of the McLean Hospital in Belmont, USA. Participants were tested before starting the intake of cannabis and 3 months later. Patients completed the Multi-Source Interference Test (MSIT) while undergoing functional magnetic resonance imaging (fMRI). The MSIT was designed to study normal human cognition and psychiatric pathophysiology. Following 3 months of treatment, cannabis patients demonstrated improved task performance accompanied by changes in brain activation patterns within certain brain regions (cingulate cortex and frontal regions). Authors wrote that after cannabis treatment, “brain activation patterns appeared more similar to those exhibited by healthy controls from previous studies than at pre-treatment, suggestive of a potential normalization of brain function relative to baseline.” They concluded that their findings suggest that the medical use of cannabis “may result in different effects relative to recreational marijuana (MJ) use, as recreational consumers have been shown to exhibit decrements in task performance accompanied by altered brain activation.” Patients also reported improvements in clinical state and health-related measures. Gruber SA, Sagar KA, Dahlgren MK, Gonenc A, Smith RT, Lambros AM, Cabrera KB, Lukas SE. The Grass Might Be Greener: Medical Marijuana Patients Exhibit Altered Brain Activity and Improved Executive Function after 3 Months of Treatment. Front Pharmacol. 2018;8:983. Thanks. I check this old blog occasionally. I’ll add that paper to my review pile. I already have a half dozen or so citations to that team. This one looks pretty good. Michael…. Excuse my error regarding the name…. it’s International Association for Cannabinoid Medicines. I’ve followed this publication for many years, please do check it out. My introduction to cannabis medicine was in Mexico in 1959 and it has been useful especially for RLS Syndrome throughout the years. My chest Xray last week was good my doctor said, and at 80 I feel like 60. Used for thousands of years as medicine, here in Tennessee they confiscate and burn it. Curious behavior indeed……. My thanks again for an excellent discussion. Yes, Sean, you disagree with what? Would you care to discuss it?